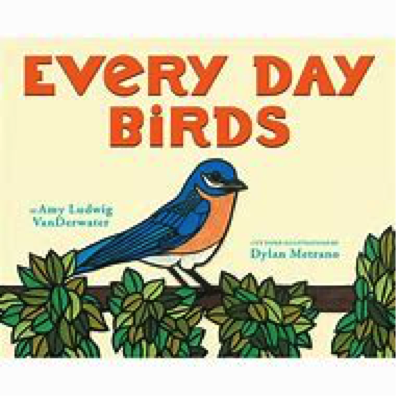 Just like brightly colored birds, these picture books inspired me, touched my heart, and stopped me in my tracks. This list helped me wonder at the simplicity of the universal themes they sing. These stories will nest in your hearts. This tender story tackles separation between mother and child. My connection--when my son was deployed, all I could do was pray and send packages. This tale is about a first love. My connection--when my teenage grandchild tells me about a crush and then remembering my first kiss. This book is about hope and finding a new home. My connection--helping a friend after a flood. The theme of this book is the wonder of nature. My connection--I share in the delight of the birds that come to my feeders with my grandchildren. This sweet story tells of the courage it takes to build a friendship. My connection--being shy and meeting new people. Which mentor texts have you found helpful for relaying universal theme? 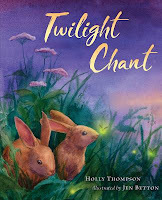 Janie is giving away a signed copy of Twilight Chant. To be eligible for prizes throughout the challenge, you must comment on each post, be registered, and consistently read picture books throughout the challenge. 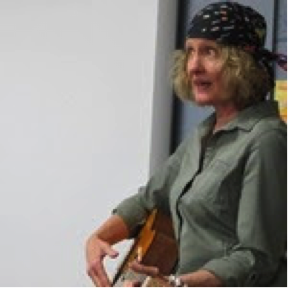 Janie Reinart has worn many hats--educator, author, theater major, professional puppeteer, interactive musical storyteller, and a poet's beret in an inner city school helping children find their voice. She lives in Ohio with her husband. She's always up for a game, a song, or dress-up. Just ask her fifteen grandchildren. It's very helpful to hear the personal connection to the stories. I was unfortunately not able to get any on this list from my library so I'm curious what are people's other favorite "universal themes" books that did not appear in this post? My favorite friendship theme story (around going separate ways but still staying friends-could be a good connection for kids who are moving or who have a friend who is moving) is Bob and Otto by Robert Bruel. A few of my favorites: It's okay to be different -"Tacky, the Penguin" & "A Porcupine named Fluffy" by Helen Lester; The importance of friendship - "Bear has a Story to Tell" by Phillip Stead, "Strictly No Elephants" by Lisa Mantchev, & "Little Elliot, Big City" by Curato; and Finding where you belong "The Antlered Ship" by Dashka Slater. I love this post! I was able to find three of the books on the list. I made the same connection to Bird, Balloon, Bear that Janie did. Then I started to think about books that I have felt connected to and why. The titles that immediately came to mind were books that I read to my daughters that they are now reading to their children like The Napping House (by Audrey Wood - it always seemed like everyone in our house ended up in the same bed in the morning), Jamberry (by Bruce Degen - just the sheer joy of the words and illustrations), and Blue Hat, Green Hat (by Sandra Boynton - pure fun!). Two books I always come back to are books that I used when teaching in an elementary school library - Coolies (by Yin - I’ve always been fascinated by the courage it took for immigrants to come to this country and the contributions they have made) and Barefoot, Escape on the Underground Railroad (by Pamela Duncan Edwards - the courage it took to reach freedom). Then I thought of a what I heard about author/illustrator Dan Santat - (After the Fall) - the feelings he had about becoming a writer and his success. Then I thought about the inspiration for a book I wrote - As the Crow Flies - my husband and I took a day trip in Washington state and went from the mountains to the ocean. Then I came up with an idea for a picture book! Thanks, Janie! Gail, I doubt you'll see this but I'll be getting your book from the library. Making a conscious effort to find our connection to a story is so important for us storytellers. Why do I like this? Why do I care? Thinking about this can take our own stories to the next level. Janie, Thank you for sharing your personal connection with each of your selections. I appreciate stories that touch our hearts. Thank you for this wonderful heartwarming selection of books. The Day I Became a Bird is now a new favorite. 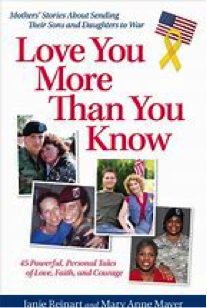 thought this is the perfect read for a family with someone in the military. nice list of titles. Thank you for sharing! I hope to find those universal themes that resonate with people in different ways. Fingers crossed. These are BEAUTIFUL bird books. I used to bird watch with my dad so birds hold a special place in my heart. Beautiful choices, Janie! These are great mentor texts! Universal themes are more important than ever in today's often "hate-filled" climate, to help all of us remember our commonalities: love, hope, dreams to name a few. Great list! Thank you for your selection of books and inspiring words! Thank you, Janie, for these wonderful selections! I love the lyricism and universal themes. The Day I Became A Bird is powerful. What beautiful books. Thank you! Wonderful post, Janie. Your themes are some of my favorite and look at all those bird books. LOVE MAMMA is one of my new faves. TY. I personally love "Ollie and Claire" by Tiffany Strelitz Haber (illustrated by Matthew Cordell) for its universal theme about friendship. Thanks, Janie, for helping us think about universal themes! What wonderful examples of stories that touch the heart. It's so inspiring. Thank you! Thoughtful post, Janie! My library hold list just grew by three more PBs. I'll need two backpacks to check out all my holds. Thank you, Janie. As an avid bird nerd, you are speaking my language. Whenever I read a book, one of the first things I do is explore the themes. Theses ones are great. Great stories, Janie, and how fun they have bird characters. Janie! Great post! these texts demonstrate unique and effective ways with theme. 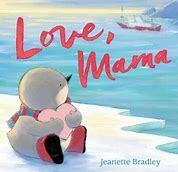 Love, Mama is one of my new favorites! I have to admit, when I first saw the list of titles, I thought maybe this was a bird-themed post! But they also make for great universal theme titles, too. Thanks for sharing. One of my favorite picture books with the 'stop me in my tracks' impact is WHERE WILL I LIVE? by Rosemary McCarney. The powerful images support the meaningful message about present-day issues relating to refugees and others who may be displaced for various reasons. It moves me every time. Thanks Janie for sharing your amazing mentor texts as well. What a moving list! Your tender heart shines through this awesome post, Janie. I so enjoyed reading each one as you show us the heart of each story. Life 101! Thank you for these books. They were all new to me and I loved reading them. Thanks for all the new recommendations, Janie. Love birds much? I've read two and waiting for the rest to come in from the library. Heart-string-pullers that share warm sentiments are some of my favorite PBs. Very sweet selection, Janie. Great post! Thank you for these examples! Love these examples of universal truths. Thanks for sharing them. Thank you for these books that hit an emotional spot. Loved My Beautiful Birds! It's a great companion read for Lost and Found Cat. For the theme of doing your thing even if it's not what others expect, I also loved Hana Hashimoto, Sixth Violin and Worm Loves Worm. My first read through of Bird, Balloon, Bear left me unimpressed. But my two year son felt differently. After reading it aloud MANY times, the book grew on me. Now I appreciate the simplicity and of course the theme. Janie, thank you for your list and your connections. Everyday Birds is one of my favorites. When reading these aloud to my classes, I just let the students think for a few minutes before speaking. Amazing thoughts arise. Have a great day! Thank you for the great list of mentor books! Simple messages for very complicated feelings. Love it. Oh Janie! I love that you had this post specifically. I am in love with theme in PBs :) And I think this is something our group should try to focus on more and help each other out with when critiquing our stories (as every crit group! :))-I think it will really aid us in the revision process, and making sure our stories have an overall purpose and come full circle. I really enjoy making this a focus on not only when I begin to write, but on my revision process, making sure my entire story develops around the theme, and that the theme is seen throughout, pushing the story forward. Also, loved My Beautiful Birds. A very well written story about hope and heart, tragedy and triumph. Thank you, Janie, for compiling this wonderful list of mentor texts. I enjoyed reading all of them. Thank you, Janie for simply stating what it is I love the most about the picture books I love the most. It’s universal theme! I always aim to have a theme sing through my manuscripts and it’s something I want to get better at. I agree with the previous post, we should encourage our critque groups to consider theme with each story. This is a wonderful list of mentor texts. Thanks! Unique takes on the universals - sounds easy, does hard! Thanks for sharing! Bird, Balloon, Bear! The friendship theme in this book was especially touching. I think kids as well as adults can relate! THE DAY I BECAME A BIRD is one of my all time favorites. This is one of those great examples where a pitch perfect voice is matched with an inventive concept to explore a universal truth. It may not be widely available at local libraries. If not, then it's absolutely worth taking a chance and owning. Some of my favorite universal stories are WHEN NO ONE IS WATCHING by Eileen Spinelli; PLAY WITH ME! by Michelle Lee; I'M NOT INVITED? by Diana Cain Blumenthal; and SNAPPSY THE ALLIGATOR AND HIS BEST FRIEND FOREVER by Julie Falatko. I've only read two of the five texts you listed so I'm looking forward to reading them. Thank you Janie. Thanks, Janie. I liked learning why you picked these books (some of which I've read and some I haven't). I'm always amazed at the connections we make to picture books. I aspire to write manuscripts that create such a response! Janie, I love your book choices and connections. I especially love BIRD, BALLOON, BEAR. Being shy and having the courage to meet new people has always been a challenge for me. I had so much fun reading "bird" books that weren't really about birds all that much.... thanks for sharing them, Janie! Great post. I love THE DAY I BECAME A BIRD. Ah, the things we all did for that first crush. :-) I'm anxious to read others on the list. Hi there, Janie. Thanks for this post. More simply,lovely, words to explore! What a great list! I love THE DAY I BECAME A BIRD. So quirky and wonderful. Thanks, Janie! I love finding books I hadn't read before. These are all great treasures. Thanks! What a terrific list of books. I loved reading about your connection to each. Thank you! Thank you for sharing your connection to each of these titles, Janie. I look forward to reading them. These are some very sweet mentor texts. Thank you for the recommendations! Such beautiful books with wonderful themes. Loved your connections to the books. Children really do need to make those connections too. Thanks for sharing the bird books and your personal connection. Thanks for sharing how the narrow focus can tap into universal themes! Making connections to picture books, textbooks, and all reading passages is a strategy I teach in my college level course. UP NORTH AT THE CABIN by Marsha Wilson Chall is a picture book that I make a self to self connection to. The story reminds me of my childhood at our cabin on Lake Waverly. Thank you, Janie. I love how we make this universal themes our own. I enjoyed the first two and need to check out the rest. Someone else commented on The Antlered Ship and Little Elliot, Big City, personal favorites. Great post! Thank you so much for your post--especially the "connections" explanation. It is quite nice to "get-to-know-you" through this context. I love the idea that there are universal themes that we can all relate to, but each in our own unique way! It gives a sense of community and yet still launches discussions that reveal our own life experiences. Great examples of universal themes. I really loved learning your connection to each one. Thank you. Thank you for sharing these! I haven't read most of them yet, but enjoy your examples of themes inviting connection to stories. 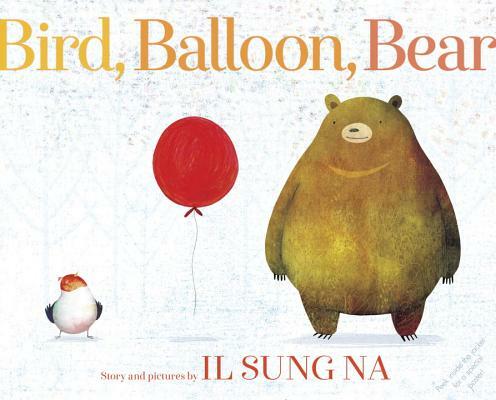 The cover illustration on "Bird, Balloon, Bear" is enough to make me want to pick it up immediately. Universal connection is often one of the things that determines re-readability for kids and adults. Wonderful selection of books with a universal theme! And thank your, Janie, for sharing your connection with each one. It's beautiful and powerful how picture books can connect in different ways with different readers. Such a beautiful list of books. I loved reading each one. Thank you! Thanks, Janie! All those birds are making me think spring--the ultimate symbol of hope to me! Thanks so much for this post. There have been many books that touched me and conjured up long-lost memories, but I don't know if I've ever read books from the angle of "connections." Now my mission is to go back to some of my favorites and see if I can identify the "connection" that made each a favorite. Thanks again! Thank you for a beautiful theme and list of books. Thank you Janie. Being aware of the theme of a story is so important for reader and listener. Thank you for this post, I really enjoyed these books, and gives me a lot to think about. When I first read your post, Janie, I was very interested in your connections. I made a note to myself to try to remember to write down my connections for the books I am writing and for the books I choose as excellent mentor texts. After reading your recommended picture books, my heart was touched by the way the authors and illustrators portrayed the universal themes in such creative ways. I have been inspired too by the comments of our fellow authors to explore the other books mentioned. It is interesting to hear how books like these touch the hearts of people in different ways. Thank you, Janie, for an inspirational post. I still remember the books that I connected most with as a child-Charlottes web, the Heidi books, Shel Silverstein's A to z book. On a recent trip to Switzerland, I remember Heidi's hikes in the alps and the sound of the bells on the cows walking in the mountains. Thanks for reminding us to remember our emotional connections to books and how lasting they are. Thank you Janie. The connections children make with books can last a lifetime. You showed how those connections, as adults, can take us back to our childhood. A great selection of mentor texts. Thanks. Loved the bird theme in this exploration of much larger ideas and deeper topics. I loved that idea of what is your connection to that book. It's a great piece to add to picture book study. Aren't books wonderful! and amazing. It seems to me children's books have more impact than any others. Thanks for sharing these all-new-to-me mentor texts. I like how you shared what your connection was to each of the stories. Thanks for the suggestions! Great post, Janie. So wonderful to share universal themes. And to think about children everywhere having books they can relate to. Thank you for introducing me to your choices. I need to look at my connection to books I read and use for comparisons and ideas. Good suggestions. What a wonderful and whimsical collection. We were already fans of Love, Mama and now it has some wonderful avian company. My Beautiful Birds is such an affecting introduction to difficult subject matter. Loved the format of a books message paired with your personal connection. Lovely. Thank you for the great post. I love how each of these books uses the concept of birds to get at a larger truth. I was particularly struck by MY BEAUTIFUL BIRDS, especially after reading LOST AND FOUND CAT for yesterday's post. I love how both use animals to convey refugee stories, making difficult topics more accessible to young readers. The illustrations for MY BEAUTIFUL BIRDS are amazing!!! The only one I was able to find from this list was "Love, Mama" (which was so beautiful). I will continue to look for the others, as they sound amazing. In my writing, I typically *start* with a universal theme or experience that I want to portray, and then try to figure out the best way to create fun, unique, interesting characters who can help me bring that theme to life with an unusual and surprising story. Thank you so much for your contribution! What a great selection of texts! Thank you for guiding us in understanding more about children's literature. Thanks, Janie, for a wonderful post. I especially appreciated your telling your personal connections to each story. As a reading teacher, I always had my students write a personal connection to each story we read. Their answers were amazing and different. Each of us respond differently to the same story. 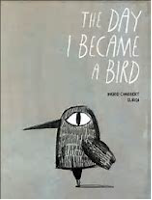 Rereading The Day I Became a Bird was fun. What a touching and heartwarming tale! Bet we all had a different personal connection to that one. 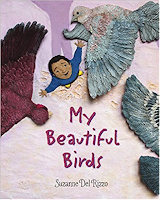 My Beautiful Birds truly touched my heart, and I was impressed with the illustrations. I don't remember seeing other books illustrated in this unique way. Great mentor texts in many ways! Thanks again! Wonderful books! I love the moment you connect, in a meaningful way, with a picture books. The books I’ve had that moment with are books I will cherish forever. I am excited to ponder universal theme within my own writing. Thanks for sharing! Books we connect to on a personal level stay with us forever. They occupy a special place in our hearts. I can’t wait to read these texts! I hope I continue to develop as a writer who creates stories that deeply connect with my readers. One of my favorites is Lenny and Lucy by Phillip and Erin Stead. Overcoming fears is much easier with others to lean on. I love birds. Thanks for introducing me to some new books featuring them. THANK YOU for these inspiring tales, and sharing your personal connection with each. It just goes to show that children are not the only ones who learn, grow, and are touched by pic books. I am also EXCITED to check out the books other commentors have recommended on this post. THANK YOU for the inspiration! I must say that a recent book on our reading list, A Different Way to Climb a Tree (?) TRULY TOUCHED something deep in my heart. TRULY BEAUTIFUL! I got many new books added to my list today, thanks to comments here. Thanks for the great post. The ultimate reward - when you can write a book that transcends the story and connects personally to the reader. I love a good bird book...thanks for sharing! Your succinct comments go straight to the heart of each book. Great way to focus our eriting, top. Only could find 2 on the list and I love them both! The Day I became a Bird and Bird, Balloon, Bear. Such sweet books! My Beautiful Birds-gulp, a seemingly forgotten war, so many families and a little boy worried about the creatures he loved. Every Day Birds-I just finished the Great American Backyard Bird count with a struggling reading group. Next year, I'm adding this to the list-it is great! Thank you! Beautiful connections to sweet books. I loved this grouping of text. I enjoy watching the birds in my yard, and may have turned into a “bird lady” as a result. This post is right up my alley! What a great way to look at mentor texts! Finding connections to our lives really is what makes picture books sing. This also reminds me that a universal story can be retold and retold if presented through fresh eyes. Old wine in new bottles isn't always a bad thing. Janie, Thank you for sharing this list with us. These are meaningful books. I especially love My Beautiful Birds. Thank you, Janie! Love this. Thanks for the great examples! After the fall also is a good one with a universal story. Thanks for your list. Thank you so much for the wonderful mentor texts. I too especially like My Beautiful Birds and can't wait to check out the others. Janie - thanks for sharing your personal connections and memories through these excellent examples! Thanks for this great list and for sharing your connection to all the stories! As a bird fan, I loved Every Day Birds, the backmatter is awesome as well. Since we're on a bird run here, I'd add the book SHY by Deborah Freedman. The main character loves reading books about birds, but is too shy to speak to one that flies by. I enjoyed the universal themes around shyness and learning to reach out and make a friend anyway. Thank you, Janie, what a beautiful list and I loved reading your connections to each one. Thank you for sharing! A wonderful list! Thanks for these. I appreciate these inspirational titles. I'm holding on to The Day I Became a Bird. Thank you! I didn't know any of these. Thank you so much for introducing me to such an inspirational flock. Thanks, Janie, for this lovely list of books that inspired you. And thank you for sharing your personal connection to each story. Thank you for showing how universal themes can be simply but beautifully portrayed. Earlier this year I discovered Amy Ludwig VanDerwater as a poet with my first and second graders. Today I enjoyed how she captured the essence of common North American birds for young readers. Thank you Janie for this beautiful stories and the importance of how they connected to you. Thanks for compiling this list of PBs with universal themes and sharing how you personally connected with each one. I love how you share the themes and the connections in these books that might appear similar (all birds) but are so very different! I enter in your world as i read your description Janie. I loved your post. Love this list! Thanks, Janie! Ah, stories of the heart with universal themes! I think we all wish we could do that! Thanks for this great list! Thank you for this suggested list Janie and showing us the connection you have with them. I am getting ready to read this list with the questions of Why do I like this, Why do I care, in mind. Thank you for the suggestions! 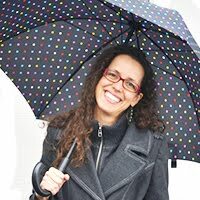 I love your personal connections-I'm about to find mine! Thank you for highlighting the importance of making a personal connection to the story with these great titles. Personally I was not a fan of The Day I Became a Bird but I loved the rest! Love, Mama touched me the most personally while Every Day Bird was fun and bright and really made me feel the wonder of nature. Thanks for the suggestions! This is a really interesting post and makes me think about universal themes more than I have been. I found two of these books and they sure are heartfelt. Wow! MY BEAUTIFUL BIRDS was very touching! Thank you for sharing! I really enjoyed these books and their heart-touching themes. The illustrations in EVERY DAY BIRDS and MY BEAUTIFUL BIRDS are amazing, too. LOVE, MAMA is so sweet and made me want to hug my daughter! Thanks for your post. Thanks for homework...finding themes was fun, even when I had to sub in books. Thank you for this post. I really like the personal connections to each story. It has helped me to not only identify universal themes in books, but why they resonate with me personally. Your post highlights how as readers and creators we really must connect to the heart of each story. My current favorite is "Love Is" by Diane Adams about ones love of children and longing for them to grow up but missing them as the leave home. My oldest 2 are juniors in high school so this rings true to me. Thank you for the beautiful list of mentor texts. It's important to know the "heart" or theme of your story. Thank you for sharing your personal connections with these thoughtfully chosen mentor texts. Oh such beautiful examples!! Thank you for this post and reminding us of the importance to consider the reader's connection to the story! Great book selections! Thanks for adding how you felt connected to the book! When I first read all the titles, I assumed the overall theme (connection) was birds. I was curious as to how (almost) all of these would tie into ReFoReMo--animal books? Much to my delight, I too connected with a different memory in each story. Looking forward to reading these, thank you! Authors can be so brave tackling these themes! Especially the likes of "My Beautiful Birds" by Suzanne Del Rizzo. What a beautiful story of hope when it seems you have hit rock bottom. "Everyday Birds" reminded me of my grandfather. He could identify a bird by its whistle! It was extraordinary. I will definitely be reading this one to my kids. The backmatter was also fantastic! More great selections... Thanks Janie! I loved the "bird" common thread between all of your selections. My absolute favorite from this list is The Day I Became a Bird. It's an adorable story that pretty much anyone can relate to. I loved the ending as well: "I'm not a bird anymore, but I feel like I'm flying." Having the main character dress up in a bird costume to catch the attention of his crush was a powerful way to show that his feelings for her outweighed any fear embarrassment. It was a simply stated story, yet carried such a strong message. Second on my favorites list is My Beautiful Birds. The birds were a symbol of hope, freedom, and escape for a boy who was displaced from his home. The illustration of the clouds forming pigeons in the sky was beautiful. These texts just go to show how many different messages and meanings you can put behind the same unifying concept of birds. Very creative texts in this grouping. The paper cutout illustrations in Every Day Birds were incredible. Thank you for this list, and thank you for sharing your beautiful connections with each book. Thank you for sharing the picture books that you had a connection with. Picture books really can touch people. I love it. All great bird books! 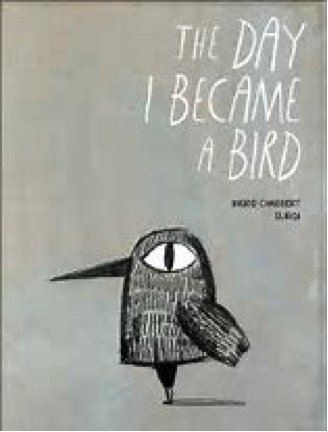 My favorite though is The Day I Became A Bird! Looking forward to reading this selection. As a teacher, I always asked the students if they were able to make connections with the stories we read. Making personal connections to books is so important! Thank you for sharing yours. Hi Janie. Thanks for your booklist. I'm thinking your theme here is bird books... just kidding! This is a great example of how one subject (birds) can be explored in so many ways. Thank you, Janie, for your list and sharing your personal connection with each book. Oh to write a picture book with a universal theme that speaks to the reader's heart. I liked hearing why each book resonated with you. You presented a great list, Janie. Love these books that have a tie in to birds. It's one of the topics that creeps into my picture books and novels. Ooh! 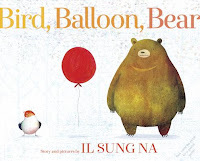 Bird, Balloon, Bear is a new classroom favorite! These themes are truly universal - young students see these messages as well. A personal connection makes us want to read it over and over again. How fun to read books with a universal theme using birds as a theme. Great post! Love Bird, Balloon, Bear! Thank you! Hoping to find THE DAY I BECAME A BIRD at a store. This is a nice list to study. I love that they're all birds with all different approaches. A wonderful set of books. I was so touched by My Beautiful Birds - I think it would make a good book to share with kids grieving over lost pets as well (not just to show hope). It was so helpful to hear about these themes and the ways in which you connected with them.